This sign isn't funny. It's necessary to prevent people from dying of fright! Do your part by ordering and displaying this Scary Clown Sign. 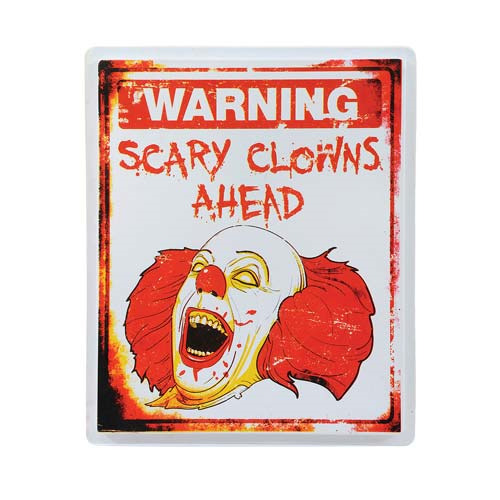 Made of plastic, it measures 19-inches tall x 16-inches wide and states "Warning - Scary Clowns Ahead." Ages 14 and up.